As part of its conservation initiatives, Para la Naturaleza directs a program known as Árboles, más Árboles (Trees, more Trees), dedicated to producing, distributing and planting endemic and native tree species in Puerto Rico, which are better suited to local soil and climate conditions. The more than 60,000 trees produced every year by Para la Naturaleza’s Native Tree Nurseries are either used for reforestation purposes, sold to the public at selected locations, or given away for free during the annual Conservation and Reforestation Fair. Para la Naturaleza currently administers two main Native Tree Nurseries, which are located within the Botanical Garden of the University of Puerto Rico in Río Piedras and at the San Cristóbal Canyon in Barranquitas (both in the Metro-Central Region). Additional Native Tree Nurseries are also operated within protected areas such as the Cabezas de San Juan Nature Reserve in Fajardo (Eastern Region) and Hacienda Buena Vista in Ponce (Southern Region). Besides selling and distributing native trees, the Nurseries serve as information centers where the public may seek orientation regarding native tree species and reforestation. The nurseries regularly offer planting workshops where participants are shown how to properly select tree species according to their needs, and how to plant and care for them. Para la Naturaleza also runs a School Tree Nurseries program aimed at empowering youth within public schools in Puerto Rico and enabling them to become part of reforestation efforts. Through this program, Para la Naturaleza helps schools within its regional network in setting up their own Native Tree Nurseries. Para la Naturaleza initially provides the necessary materials and training, so that a designated teacher can take over the plant nursery along with students after it has been set up. 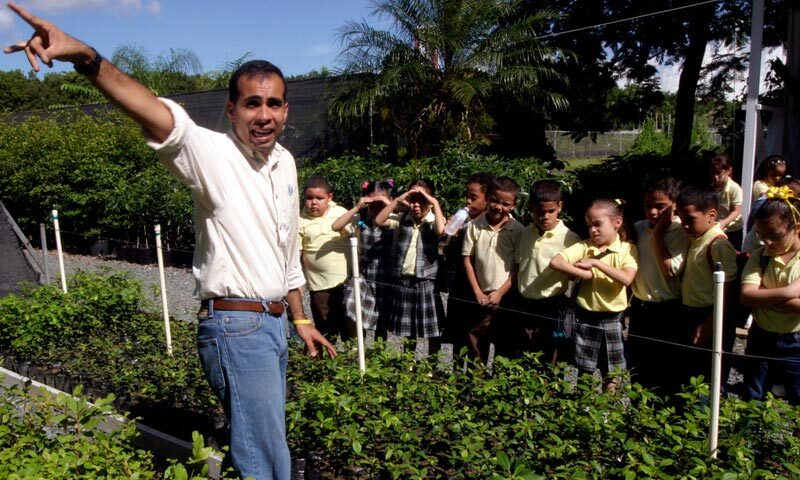 The first school to participate in this program was the Luis Muñoz Marín School in Barranquitas, which currently yields approximately 1,200 native trees per semester, distributed among 8 native species, including Algarrobo, Caimito, Capá Blanco, Guamá, Guanábana, Higüero, María and Úcar. For more information on planting workshops and other activities at the Native Tree Nurseries visit our online reservations.